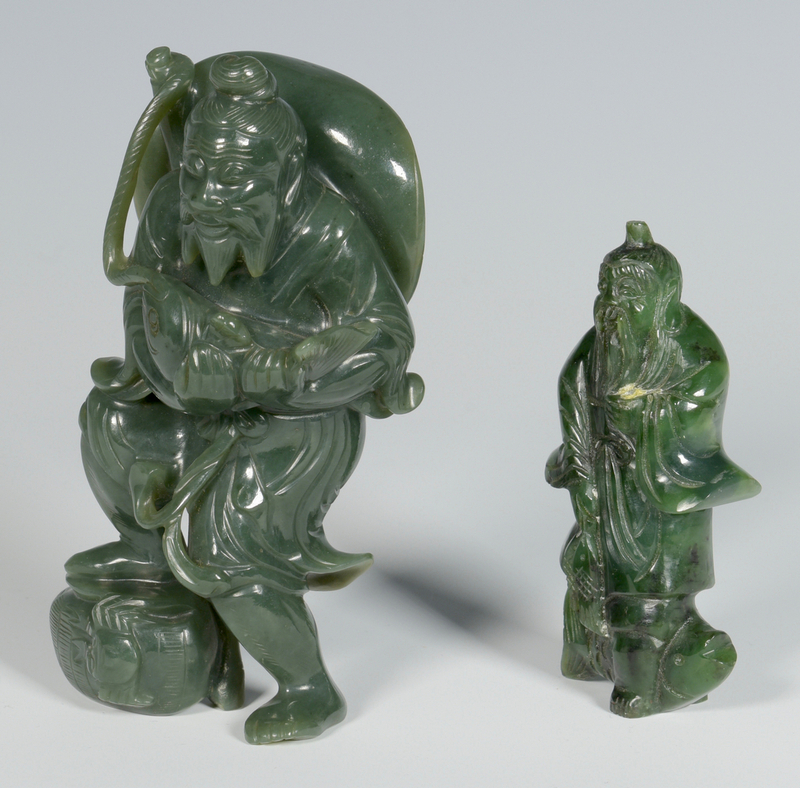 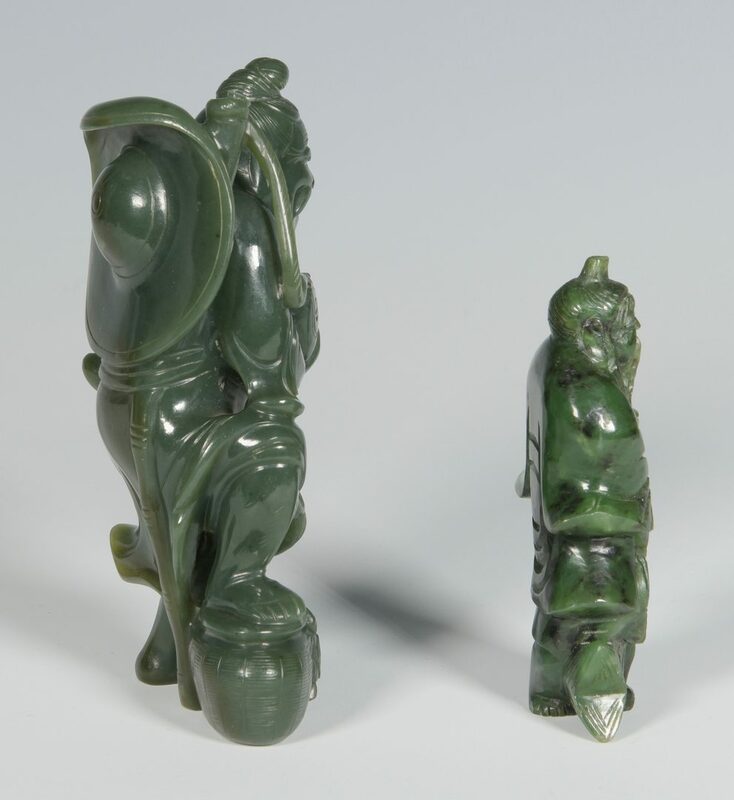 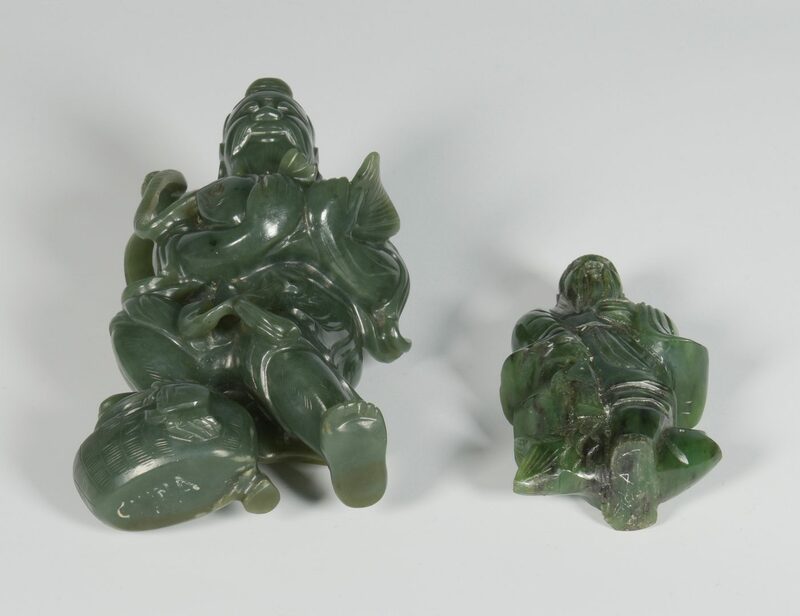 1st item: Carved spinach green jade figure of a man holding a fish, with basket at his feet. 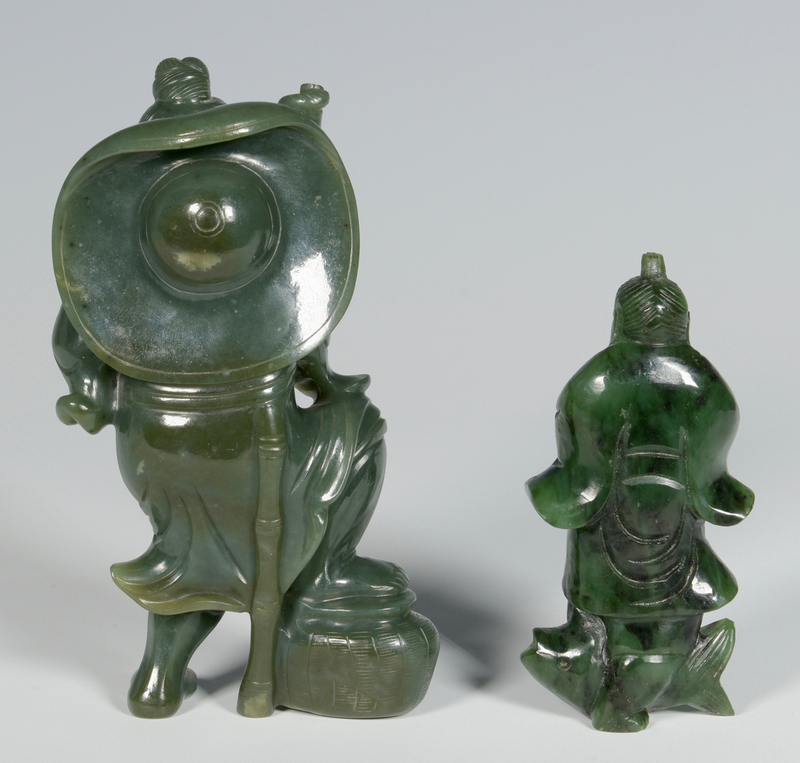 Marked "China" on underside. 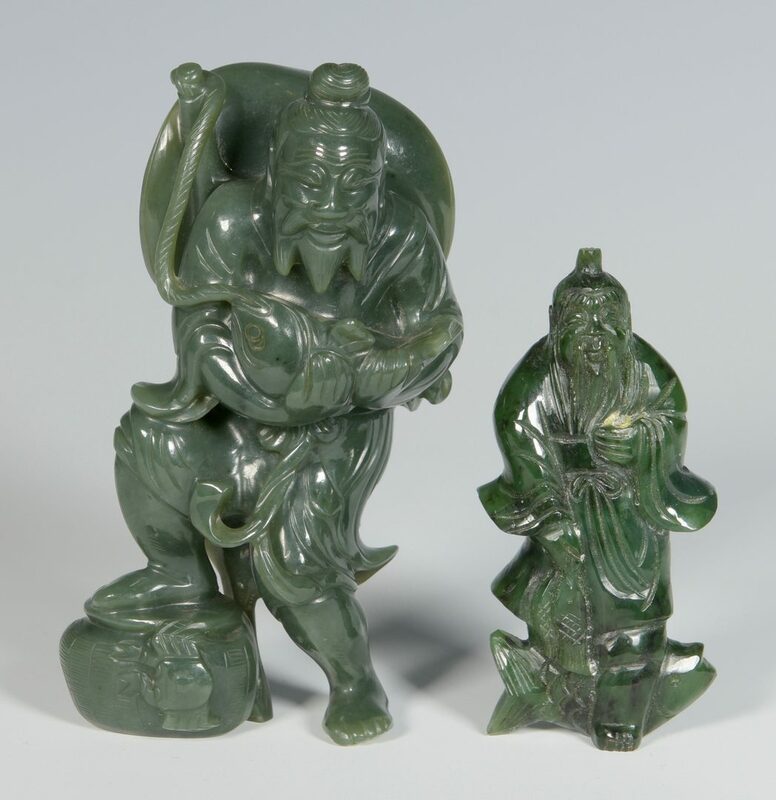 5 3/4" H. 2nd item: Carved hardstone figure of a man with long beard, holding a fish and standing on a fish. 4" H. CONDITION: 1st item: excellent condition. 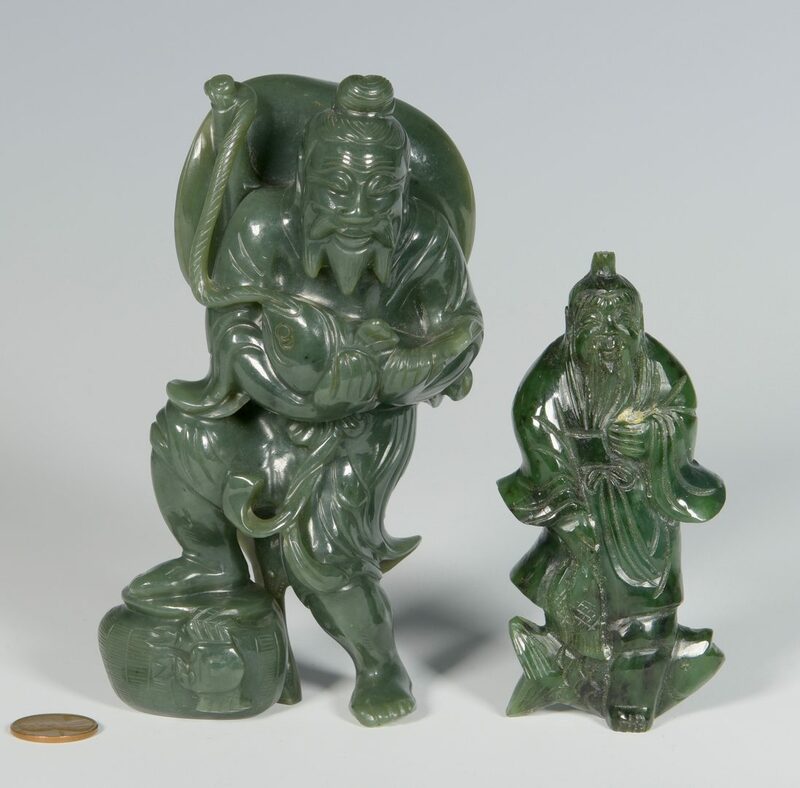 2nd item: figure originally held something in his left hand, now missing. 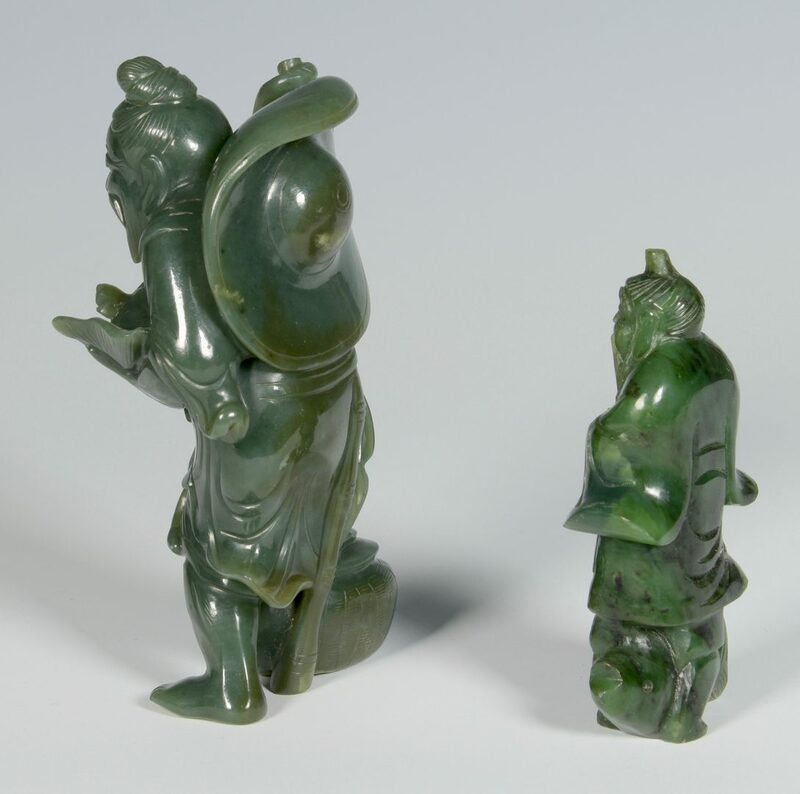 Miniscule chip to fishtail and figures right sleeve.